 New Page — Hoff Barry, P.A. Please be aware that viewing our website or sending an email to an attorney does not form an attorney-client relationship. If you would like to discuss legal representation, please call our office. We reserve the right to decline representation. All of the information contained on this website is for informational purposes only. It is not legal advice on any particular subject or case.